The Sheffield City Region (SCR) faces considerable problems in terms of economic and social inequality. As the Institute of Fiscal Studies (IFS) emphasises, there has been a marked decline in living standards in the UK, which is projected to continue. The Sheffield City Region has the highest concentration of those in work and paid below the living wage, in addition to high numbers of people relying on out of work benefits which have been cut over the past few years. There are elements of the Autumn Statement that have been welcomed in relation to the region, including more funding for devolution growth initiatives (the North West gets the highest proportion), the introduction of a Productivity Fund and funding for university collaboration with industry. However, these are small scale improvements in relation to the problems. The Northern Powerhouse is the government’s devolution strategy for the North, which gives increased responsibilities and powers over: transport and economic planning; electing mayors; some powers to manage health; new employment and skills via apprenticeships; and in 2017, the co-commissioning of welfare to work policies. As reflected in the initiatives announced by the government in the Autumn Statement, devolution policies focus on economic ‘growth’, but pressing questions remain as to who will benefit from a growth strategy? This is the context for the WISERD research on civil society and economic development and its extension through further Economic and Social Research Council (ESRC) Impact Acceleration Account (IAA) money to specifically look at devolution and disadvantage in the Sheffield City Region. Devolution growth objectives face significant challenges: the combined impact of austerity cuts and welfare reforms result in over £1.1 billion in lost income to the Sheffield City Region, far exceeding committed monies from devolution deals. Current budget settlements for local authorities involve further cuts of around £131m for just 2016-2017, with disadvantaged groups and areas particularly affected. Economic and social disadvantage, combined with difficult labour market conditions including low paid and poor quality sustainable employment, presents major challenges for employment and skills policies. There is a lack of perspective in terms of how disadvantaged groups can be included in, and importantly benefit from, Sheffield City Region policies to stimulate growth. The report was released to the press and the Sheffield LEP Combined Authority was quick to respond. On Friday 23rd September, the Yorkshire Post published an article stating that “Studies show £1bn cuts far exceed money for devolution”. Sir Steve Houghton, Chair of the Sheffield City Region Combined Authority claimed: “the austerity and budget cuts we’re facing have nothing to do with devolution”. The week after our report was launched, the Royal Society of Arts published its Inclusive Growth Commission: Emerging Findings, where it was noted that “the context of devolution so far has been fiscal neutrality and austerity … overall revenue budgets have shrunk substantially”. In short, austerity and devolution are inextricably linked, and to miss this raises false hopes and air-brushes out the negative consequences of the long-game of devolution. Yes, the leaders of the Sheffield City Region might object to austerity, but by playing the devolution game they are bound-up in agreeing to and implementing austerity. Devolution has conditions and strings attached. The October 2016 Devolution Agreement, made and signed between HM Treasury and the Sheffield City Region, makes this clear; on page 5 it is stated that: “The devolution proposal and all levels of funding are subject to the Spending Review …” and in paragraphs 49 to 53 under the ‘Fiscal’ heading, the devolution timetable has to run alongside and not fundamentally challenge the Spending Review timetable. These are parallel developments. The Sheffield City Region also has responsibility for chairing area-based reviews of the landscape of 16+ skills provisions for instance, which having been subjected to intense budget cuts in recent years, are designed to legitimise and facilitate the restructuring of further education colleges and other providers. Central government has very subtly retained power over supposedly devolved cities and regions. Fiscal conditioning, target setting, and the re-composition of local governance networks involves, in our opinion, increased centralisation. 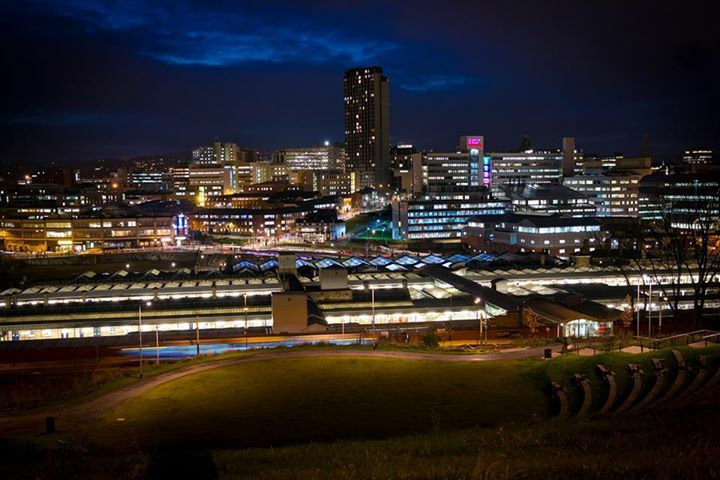 As economic geographers, we are pro-devolutionists who want the Sheffield City Region and other localities to genuinely accelerate the delivery of its Strategic Economic Plan. Our findings raise questions on how austerity and cuts are impacting on other city regions such as Manchester, which is seen as the ‘flagship’ model, but already trade unions and civil society organisations are questioning governance accountability and spending capacity to shape economic and social conditions. We call for transparency in the further development of devolution policy and for the city region authorities to assess the implications of austerity cuts on regional growth and inequality, as these are impacting disproportionately on disadvantaged groups and disadvantaged places.